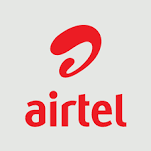 Here we are going to be showing you the Codes to acquire Airtel 1gig Free data for a month and free 250MB per week. You must have noticed that airtel have been crediting most of its subscribers with free data for some weeks and months now. You must have heard about upgrading your airtel line to 4G and you will get an instant 4gig data for a month. Viola - 1gig data will be credited on your airtel line. Follow Steps below to activate your 250mb weekly. Now you can enjoy free data using airtel lines. Note: If you have any issues activating your 1gig or 250mb please use the Comment session.